Blackmail is an act, often a crime, involving unjustified threats to make a gain (commonly money or property) or cause loss to another unless a demand is met. Essentially, it is coercion involving threats to reveal substantially true or false information about a person to the public, a family member, or associates, or threats of physical harm or criminal prosecution. It is the name of a statutory offence in the United States, England and Wales, Northern Ireland, Victoria, Australia, and Tasmania, and has been used as a convenient way of referring to other offences, but was not a term of art in English law before 1968. It originally meant payments rendered by settlers in the Counties of England bordering Scotland to chieftains and the like in the Scottish Lowlands, in exchange for protection from Scottish thieves and marauders into England. Blackmail may also be considered a form of extortion. Although the two are generally synonymous, extortion is the taking of personal property by threat of future harm. Blackmail is the use of threat to prevent another from engaging in a lawful occupation and writing libelous letters or letters that provoke a breach of the peace, as well as use of intimidation for purposes of collecting an unpaid debt. Some US states distinguish the offenses by requiring that blackmail be in writing. In some jurisdictions, the offence of blackmail is often carried out during the act of robbery. This occurs when an offender makes a threat of immediate violence towards someone in order to make a gain as part of a theft. For example, the threat of "Your money, or your life!" is an unlawful threat of violence in order to gain property. The word is variously derived from the word for tribute (in modern terms, protection racket) paid by English and Scottish border dwellers to Border Reivers in return for immunity from raids and other harassment. The "mail" part of blackmail derives from Middle English male, "rent, tribute." This tribute was paid in goods or labour (reditus nigri, or "blackmail"); the opposite is blanche firmes or reditus albi, or "white rent" (denoting payment by silver). Alternatively, Mckay derives it from two Scottish Gaelic words blathaich pronounced (the th silent) bla-ich (to protect) and mal (tribute, payment). He notes that the practice was common in the Highlands of Scotland as well as the Borders. In Irish Gaelic, the term cíos dubh, meaning "black-rent" has also been employed. The ordinary blackmailer normally threatens to do what he has a perfect right to do namely, communicate some compromising conduct to a person whose knowledge is likely to affect the person threatened. [...] What he has to justify is not the threat, but the demand of money. 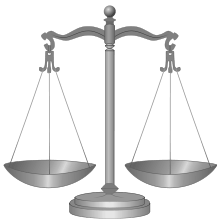 The gravamen of the charge is the demand without reasonable or probable cause: and I cannot think that the mere fact that the threat is to do something that a person is entitled to do either causes the threat not to be a "menace" [...] or in itself provides a reasonable or probable cause for the demand. a threat to place the victim on a trade association's "stop-list"
Blackmail is an indictable-only offence. A person convicted of blackmail is liable to imprisonment for any term not exceeding fourteen years. In R v Hadjou, Lord Lane CJ said that blackmail is one of the ugliest and most vicious crimes because it often involves what he described as "attempted murder of the soul". He said that, perhaps because courts always impose severe sentences, one seldom finds a person convicted a second time of blackmail. He said that deterrence is perhaps the most important part of a sentence in a case of blackmail. David Ormerod said that the offence created by section 40 of the Administration of Justice Act 1970 is related to blackmail. the offence of robbery might be committed if the blackmailer puts or seeks to put a person in fear of being there and then subjected to force. a threat to destroy or damage property may also amount to an offence under section 2 of the Criminal Damage Act 1971. A blackmailer who threatens to disclose the commission of an offence may also commit an offence under section 5 of the Criminal Law Act 1967 if he subsequently accepts consideration from the victim. A blackmailer who threatens to publish a defamatory statement of and concerning an individual may be liable to be sued for either libel or slander if he subsequently carries out that threat. Before the enactment of section 21 of the Theft Act 1968, the word blackmail was not a legal term of art. The word was used by lawyers as a convenient way of referring to the offences under section 29 to 31 of the Larceny Act 1916, and those offences were commonly known as blackmail. But the word blackmail did not appear anywhere in that Act. They are replaced by section 21 of the Theft Act 1968. Offence of blackmail is created by section 20 of the Theft Act (Northern Ireland) 1969. It is derived from and identical to section 21 of the Theft Act 1968. Some people consider that blackmail ought not be considered a crime. They point out that it is licit (in the United States at this moment in time) to gossip about someone else's secret, to threaten to publicly reveal such information, and to ask a person for money, but it is illegal to combine the threat with the request for money. They say this raises the question, "Why do two rights make a wrong?" This observation has been rebutted by pointing out that while drinking alcohol and driving are both legal separately, their combinations are not. 1 2 3 Merriam-Webster's dictionary of law. Merriam-Webster. 1996. p. 53. ISBN 978-0-87779-604-6. Retrieved 23 May 2011. ↑ The American Heritage® Dictionary of the English Language, 4th edition. Houghton Mifflin Harcourt Publishing Company. 2010. 1 2 "Blackmail". Merriam-Webster. Retrieved 23 May 2011. ↑ Burton's Legal Thesaurus. McGraw-Hill Professional. 2006. p. 233. ISBN 978-0-07-147262-3. Retrieved 23 May 2011. ↑ The encyclopedia of American law enforcement. Infobase Publishing. 2007. p. 78. ISBN 978-0-8160-6290-4. Retrieved 23 May 2011. ↑ "Legislation View Page". www.thelaw.tas.gov.au. Retrieved 2016-09-18. 1 2 3 West's encyclopedia of American law, Volume 2. West Pub. Co. 1998. pp. 569 pages. ISBN 978-0-314-20155-3. Retrieved 23 May 2011. ↑ Frank Schmalleger; Daniel E. Hall; John J. Dolatowski (2009). Criminal Law Today (4th ed.). Prentice Hall. pp. 271–272. ISBN 0-13-504261-5. ↑ Maeve Maddox. "The Difference Between Extortion and Blackmail". Retrieved 18 Jul 2011. ↑ "CRIMES ACT 1958 - SECT 87 Blackmail". austlii.edu.au. ↑ "CRIMINAL LAW CONSOLIDATION ACT 1935 - SECT 172". ↑ "Criminal Justice (Public Order) Act, 1994, Section 17". ↑ Ormerod, David. Smith and Hogan's Criminal Law. Thirteenth Edition. Oxford University Press. 2011. p. 943. ↑ Ormerod, David. Smith and Hogan's Criminal Law. Thirteenth Edition. Oxford University Press. 2011. p. 950. (The author included this offence in a chapter titled "blackmail and related offences"). ↑ "Blackmail Commercial: Sentencing Manual: Legal Guidance: The Crown Prosecution Service". cps.gov.uk. ↑ "Theft Act (Northern Ireland) 1969". ↑ "18 U.S. Code § 873 - Blackmail". LII / Legal Information Institute. Retrieved 2016-09-18. ↑ Russell Christopher: Meta-Blackmail 94 Geo. L. J. 739 (2006). Page 744, reference 25. Chisholm, Hugh, ed. (1911). "Blackmail". Encyclopædia Britannica (11th ed.). Cambridge University Press.